Owner of Dream Doors Adrian Kay is not only celebrating six years in business in Christchurch, but also winning best Dream Doors franchise in New Zealand for a fabulous fifth year in a row. Dream Doors is best known for giving your existing kitchen a facelift, but how far you wish to go with the concept is up to you. 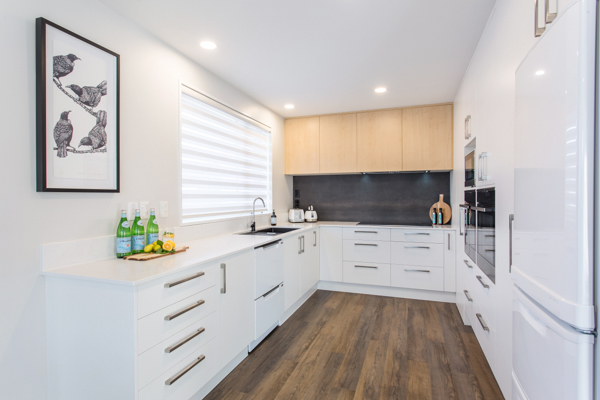 It can be as simple as new cupboard doors and drawer fronts, perhaps adding in a bench top, but it can also mean remodelling a section of your kitchen, or the whole thing. Dream Doors will take care of all the trades you need, as well as assist with splashbacks and flooring, and the company is fully equipped to design and fit a kitchen into your new build as well. The company offers the full range of materials and colours, but a current favourite with customers is the brand new Lazer Edge Melamine finish. It gives a really clean finish to the joinery, with sharper lines and increased durability. Adrian loves it so much he is offering a free upgrade to Laser Edge for a limited time. Covering the area from Oxford to Ashburton, Dream Doors Christchurch manufactures locally. It’s all made to measure – Adrian himself comes to you to do the free measure and quote and discuss your ideas, so you know the finished product will be exactly what you want. “We provide great value for money,” Adrian says.